Children will learn that subtraction means "Taking one number away from another". 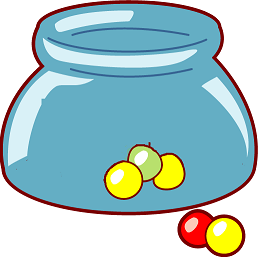 Introduce the concept of "How Many Left" with the help of concrete objects such as counters,pencils,ice-cream spoons etc..
Take a candy Jar and put 5 candys inside the jar infront of childrens in a class. Ask a question to all the childrens.How many left in candy jar now?. There are ⑤ candys in a candy jar. A child have taken ② candys away from a candy jar. How many candys left in a candy jar ? How subtraction works on this example ? Do you want to take test again ?